Inscribed on reverse" By Alice Turner 1850 - 1860, painting of Alice turners dolls and some of her mothers". 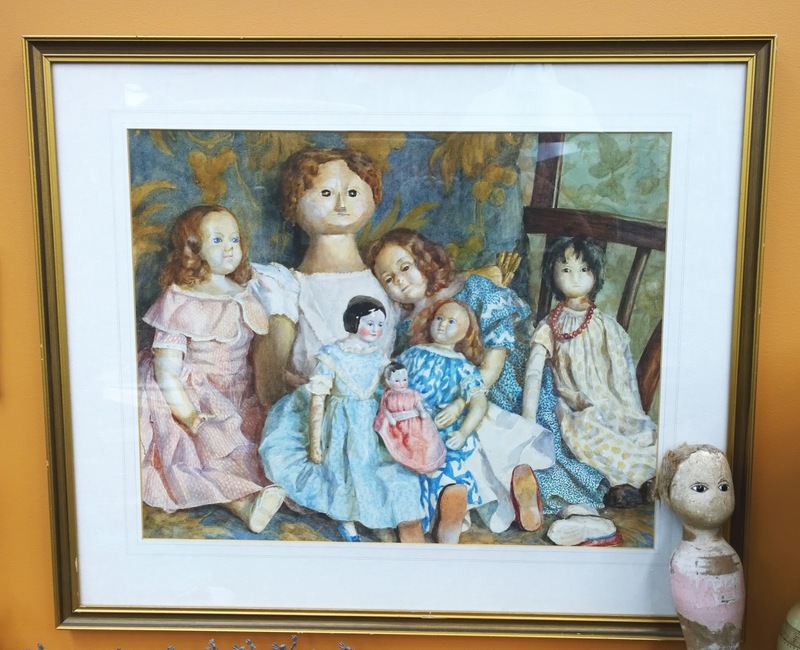 "the doll on the far right was sent out to New Zealand along with this painting" Watercolour, image is 37mm0 by 470mm. The dolls date back to 1680 and the one that accompanies this painting is a "Queen Anne" doll Ca 1720. Could do with a period frame.